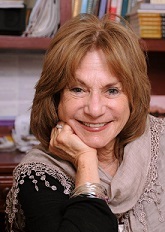 divorce advice | Judith Ruskay Rabinor, Phd. Judy was quoted in RedBook's article on being friends with your ex. Click here to read the story. Judy is doing a workshop on April 30th entitled "Co-Parenting During & After Divorce: Strategies and Skills for Transforming Adversaries into Allies." Click here to learn more about the event. © 2012 Judith Ruskay Rabinor, Phd. All Rights Reserved.